At the Fayetteville Free Library (FFL) we have embraced the idea of community engagement in a big way. We recognize that our community members are generous, talented, and have many varied and unique skill sets. Therefore, we invite them to share what they are passionate about and what they know – engaging them with the library in deeply meaningful ways. Would you be willing to share what you know with your community members? Though the tool was originally developed in support of our makerspaces like the FFL Fab Lab (fflib.org/make), it is used organization wide and has proved useful in early literacy and children’s programs as well as making. 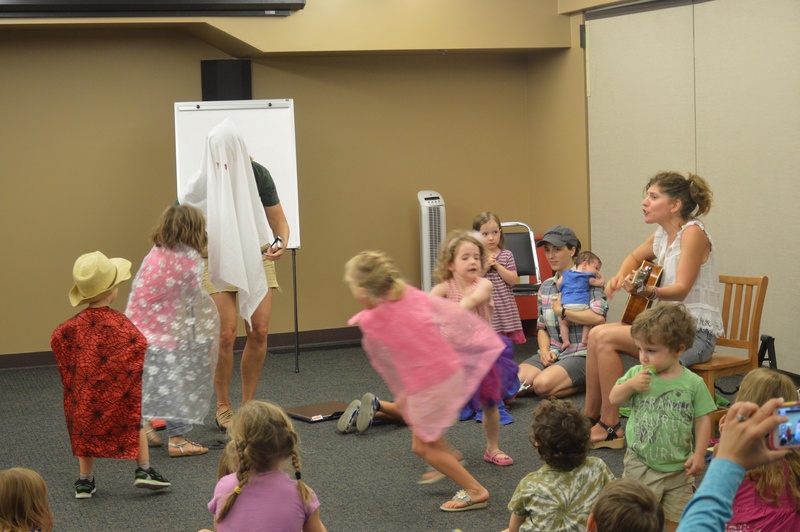 For example, after our Music and Movement class, a parent who had attended the program with her two kids approached me and told me she was an early childhood music teacher. She said she loved the program and asked if I had a degree in the field. This interaction was the perfect opportunity for us to encourage her to share her expertise with the rest of the community. I told her that I did not have an educational background in music, and asked if she had ideas for how we could expand or improve on the program. I gave her the community engagement form and used the tool to capture her enthusiasm and to provide her with the platform to get involved. All new community participants meet with our executive director, and we are especially careful with which patrons we invite to work with children. As it turns out, this patron went on to help me plan and co-facilitate many sessions of Music and Movement. She also developed a planning checklist of music concepts and motor skills to cover in each session, and her unique perspective led to many wonderful additions to the program. In a similar experience, a woman called the library and informed us that she was a former preschool teacher and loves to play the guitar for children. We were able to capture her interest and meet with her to develop a new program series called “Free to Be.” Our patrons LOVE this program, which features live guitar music, silly song writing, and acting, and it’s something I never could have offered, because I don’t play an instrument. Our old volunteer model tended to slot people into roles we had identified a need for, but our new approach invites community members to come to us with their ideas, interests, and passions. We open up the library as a platform on which they can share their talent and expertise to make meaningful connections. While my examples are focused on children’s programming, this tool is being used daily in every part of our library and has parlayed into a new, booming volunteer base. As a result of this philosophy and approach, we have been able to broaden and deepen our library programming, offering more opportunities, on a much wider range of topics, at a fraction of the cost. It also strengthens our community, as individuals build relationships and skills that they would not otherwise been able to, if not for the library. Do you engage community participants in programs and how do you do it? Our guest blogger today is Stephanie C. Prato. 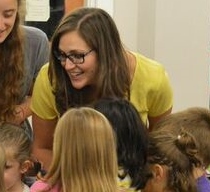 Stephanie is the Director of Play to Learn Services at the Fayetteville Free Library (FFL), NY. 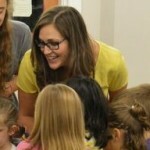 With experience in youth services, community outreach, leadership, instruction, and technology, she has developed innovative programs for babies, toddlers, preschoolers, and school-aged children. She is an active member of the American Library Association and serves as a member of the Early Childhood Programs and Services Committee of ALSC. If you have any questions, email her at sprato@fflib.org. Please note as a guest post, the views expressed here do not represent the official position of ALA or ALSC.